Quel beau pays...quand je vois tout ces GSX-R engagés !!! Fort probable , les R1 du Graves Motorsport ont toujours été à la peine en vitesse de pointe. Le Latus Motorsport alignera une Daytona 675R en AMA Supersport , aprés avoir gagné l'année derniére sur une 848 EVO. @Adrien a écrit: Le Latus Motorsport alignera une Daytona 675R en AMA Supersport , aprés avoir gagné l'année derniére sur une 848 EVO. le vieux r1-crossplane a encore mis la pâtée à tout le monde !! 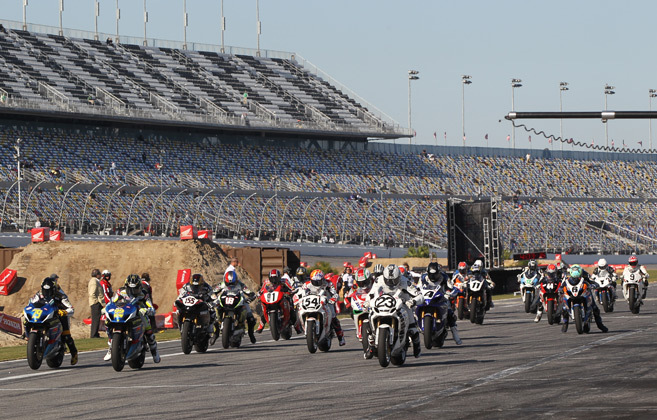 Yoshimura Suzuki was a force to be reckoned with at the season-opening AMA Pro Superbike double-header at Daytona Beach in Florida at the weekend as Blake Young captured a win and a second-place and new team-mate Chris Clark made his Yoshimura Suzuki debut with two top-10 finishes. The first race saw Young get a good start on his Yoshimura Suzuki GSX-R1000, slot into second place; and hold on until the chequered flag. As impressive as Friday's podium finish was, it was Saturday's race where Young really strutted his stuff: The Wisconsin native got another great start and again settled quickly into second position. But this time, he stayed with the leader until the last few laps, at which point, he made his move and brought home the win. Said Young: "Today's race was a lot better than yesterday's race. My Yoshimura Suzuki team worked hard for me on Friday, and after the race, we looked at the data and I knew the problem was me. I just didn't have a very good race for whatever reason and I needed to work hard to let my crew know not to give up on me yet; we need to go strong all year long. We just needed to come in here, get some points and race hard the rest of the year. Today's race was good and now I'm just looking forward to Atlanta and the rest of the season." 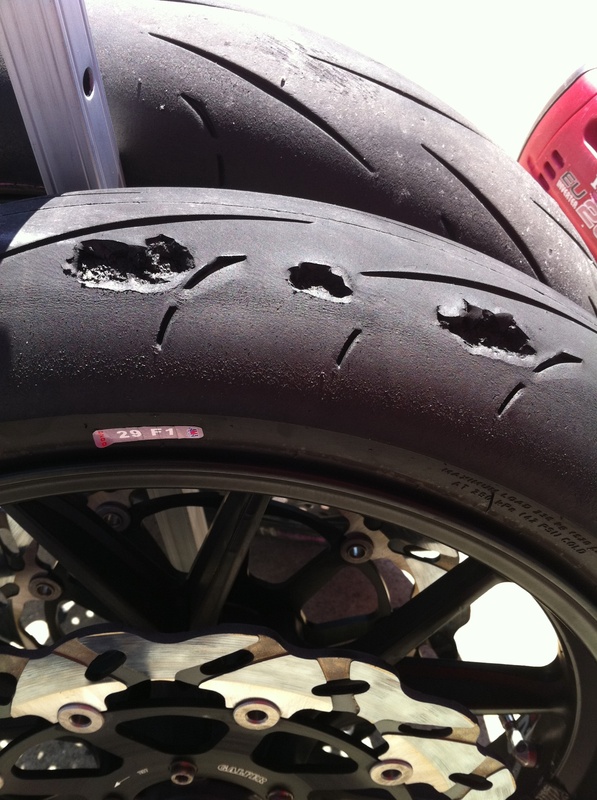 Yoshimura Suzuki's newest addition, Clark, admittedly struggled in Friday's race. 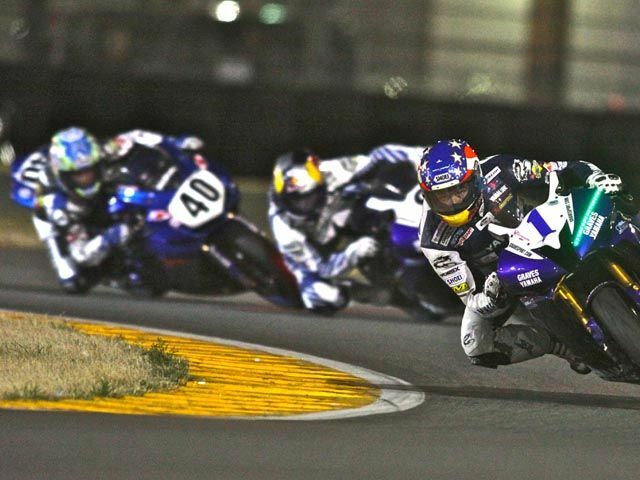 He got a good start on the Yoshimura Suzuki GSX-R1000 and held his own to bring home a ninth-place finish. But on Saturday, Clark lifted his game, turning-in faster, more consistent laps to finish a respectable seventh. "This was my first race with the Yoshimura Suzuki team, so I definitely was over-riding the bike a little bit," said Clark. "I was nervous and wanting to do well and putting a little too much pressure on myself. So I came out today and worked on what we were having problems with. I was able to turn it around in the second race. We're not too far off from where I want to be so I'm just looking forward to Atlanta. The Yoshimura Suzuki GSX-R1000 is working great; it's a really fantastic bike. So we'll head to Atlanta with our heads up and hopefully do well there." The 2012 Yoshimura Suzuki team's next event of the 2011 AMA Pro Superbike Championship series is at Road Atlanta in Braselton on April 20 - 22nd. 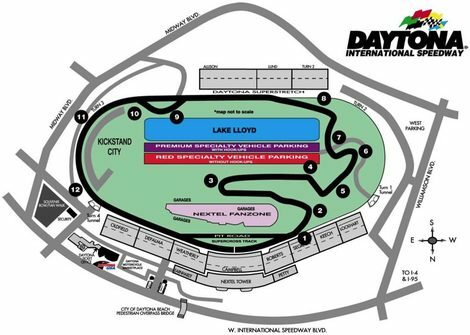 Dunlop dévellope une gomme spéciale pour les 600 à daytona( vu que les 1000 n'empruntent) pas la même piste. Le mélange est ultra tendre à gauche ( a cause du gros refroidissement dans le banking) et ultra dure à droite ( pour ne pas exploser dans le banking). L'année 2012 ... Kézako ?